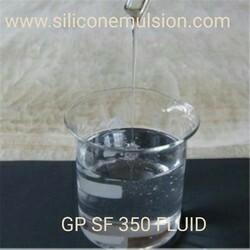 Pioneers in the industry, we offer gp sf 1000 fluid, silicone fluid 350 and gp sf 60k from India. Gayatri Polychem silicone fluids, Dimethyl Silicone Fluids, Dimethyl Polysiloxanes silicone fluids are water clear liquids which are available in viscosity ranging from 10 Cst - 60,000 Cst. Their distinguishing features result from their molecular structure. Silicone fluids are Dimethyl polysiloxanes with unbranched chains consisting of alternate silicon & oxygen atoms, their free valencies being saturated with Methyl groups, whereas carbon chains of organic materials are rather sensitive to external influences, the stability of the organic Si-O bonds corresponds in many regards to the chemically inert behaviour of mineral Silicates. Dimethyl Silicone Fluids dissolve in acetone, alcohol, particularly in benzene, ether, chloroform and carbon tetrachloride but little in water. It is white or light yellow in color. These fluids are used as sulfuration active agent of natural and compound glue and pastern emulsion. 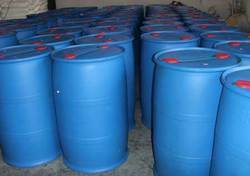 It can also be used as a material of stabilizer of plastics and plasticizers. In pharmaceutical industry, it is used to make ointments, suppositories and many more. In addition, it can be applied to make candle, cosmetics, furbisher and waterproof agent. repellent and given better dielectric properties under humid conditions. develop a high gloss with least rubbing. As coatings and impregnates for packing, diaphragms filter cloth and free flowing powder. rubber, non-ferrous metal die casting. much of the stability And the good dielectric properties of this group. by employment in closed system out of contact with Air or oxygen. 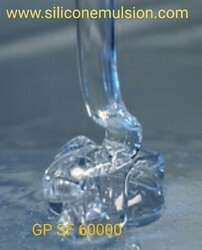 It is characteristised by non-toxicity and non – irritating, oxidation resistance water repellency, high resistance to permanent break-down due to shear; uniform retention of dielectric properties over a wide range of temperatures and frequencies, and long service-life where conventional organic liquids fail rapidly.